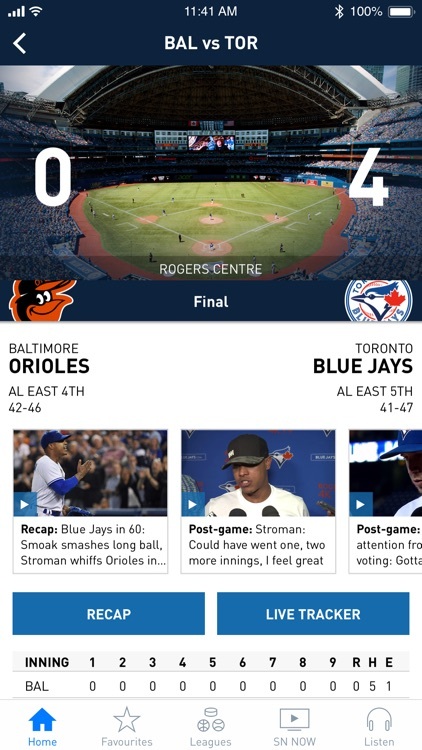 The Sportsnet app delivers news, scores, stats, highlights and SN NOW live streams. 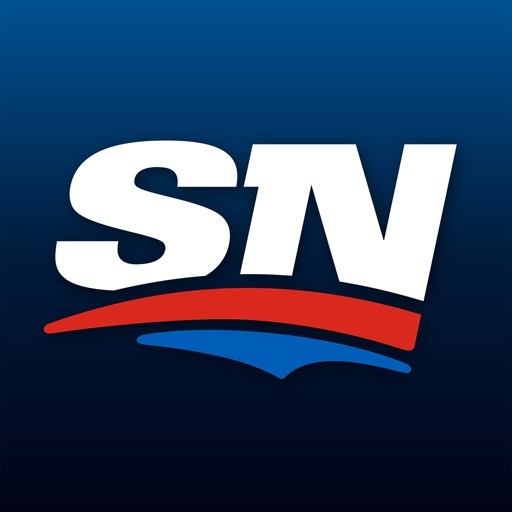 Subscribe to SN NOW from your iPhone or iPad device for 24/7 access to Sportsnet, Sportsnet One and Sportsnet 360. You can also sign in with a participating TV provider account. SN NOW $19.99/month + taxes—Over 300 total NHL games. Stream regional games for the Oilers, Flames, Canucks or Leafs, depending on where you live. 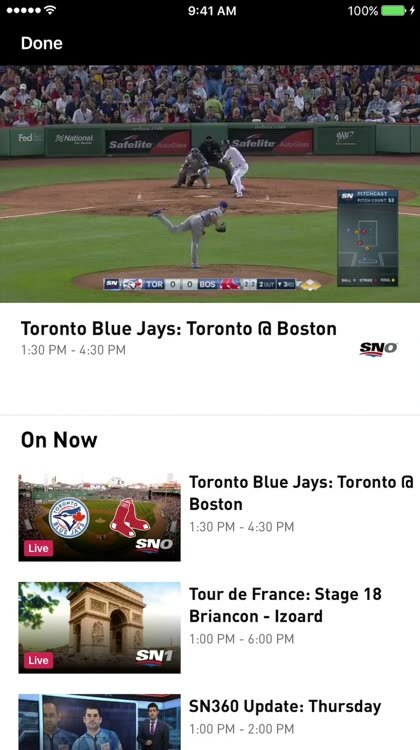 Plus, get Hockey Night in Canada, Rogers Hometown Hockey, Scotiabank Wednesday Night Hockey, the entire Stanley Cup Playoffs, Raptors & NBA matchups, Blue Jays & MLB, Premier League, Grand Slam of Curling, CHL, Sportsnet original shows and more. *Regional blackouts apply. SN NOW+ $27.99/month + taxes— Over 500 total games. Stream every Sportsnet exclusive game** blackout-free, including the Oilers, Flames and Canucks and 56 Leafs games. Plus, get Hockey Night in Canada, Rogers Hometown Hockey, Scotiabank Wednesday Night Hockey, the entire Stanley Cup Playoffs, Raptors & NBA matchups, Blue Jays & MLB, Premier League, Bundesliga, FA Cup, Premiership Rugby, Grand Slam of Curling, CHL and more. 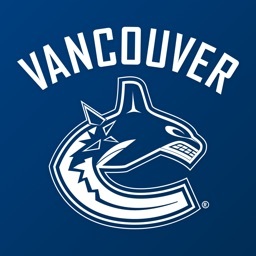 *SN NOW owns the regional rights to the Oilers, Canucks, Flames and Leafs. In order to avoid being blacked out from those teams’ regional games on the $19.99/mth package, you must reside within that team’s broadcast region. For more information on blackouts, visit www.snnow.ca/support. 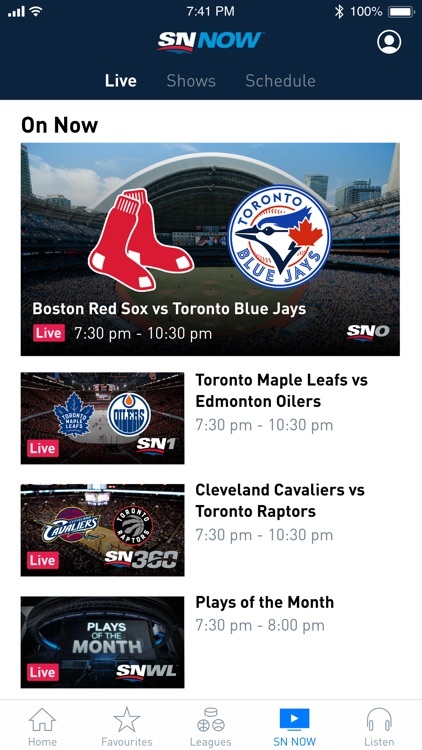 **Sportsnet exclusive games are games that are broadcasted exclusively by Sportsnet in Canada. If a game is on more than one network, the game is subject to regional blackouts. • News & Analysis: Sportsnet Central, Tim & Sid….plus much more. 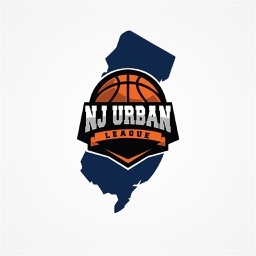 • Follow Your Favourites: Get the latest scores, stats, news, video, schedule, and rosters for your favourite teams. 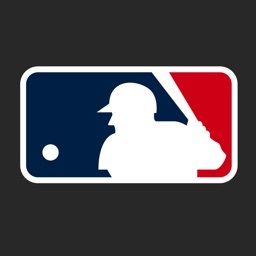 • Scores: The latest scores, stats, NHL & MLB live trackers, and in-game NHL goal highlights. 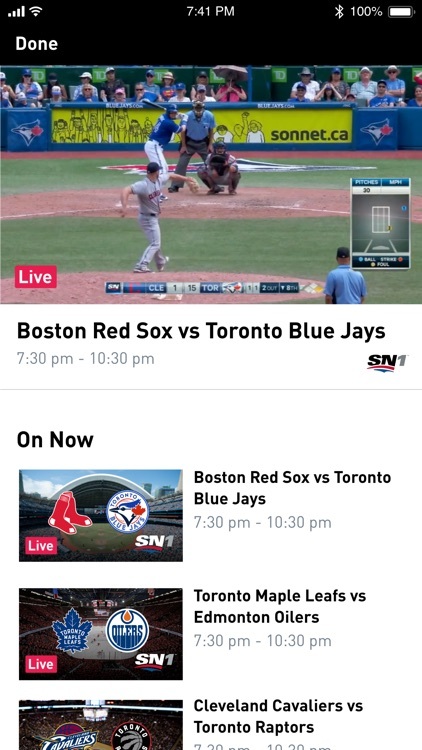 • SN NOW Live TV: Watch a 24/7 Live Stream of your Sportsnet channels. 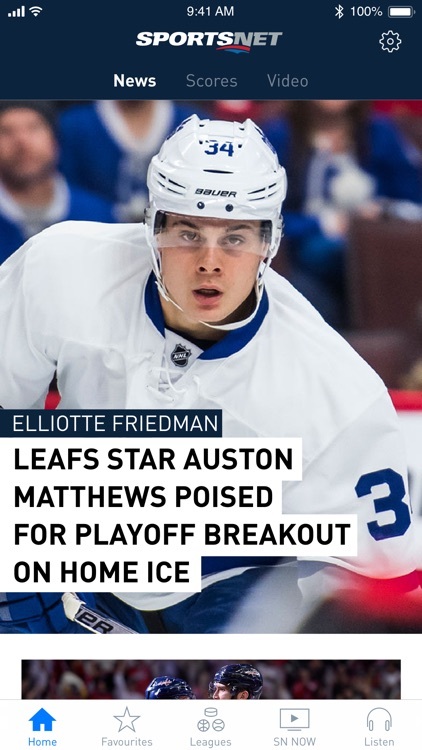 • Video: Watch the latest video highlights, analysis, check this out moments, and clips from Sportsnet shows such as Tim & Sid, Hockey Central, and Ron & Don. 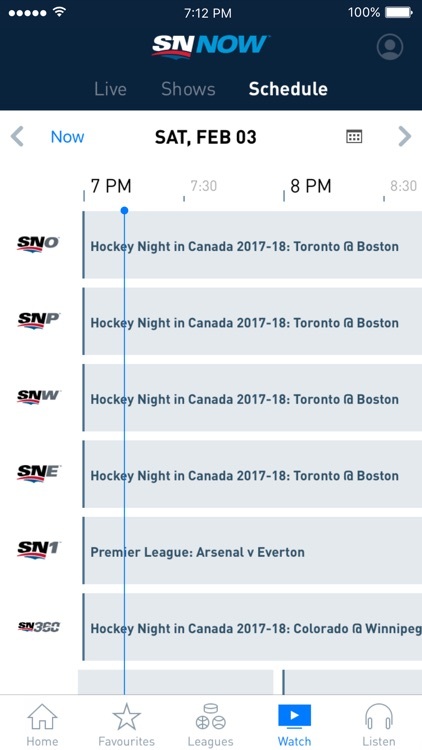 • Audio: Listen to Live and On Demand Sportsnet 590 and Sportsnet 960 radio programs including Prime Time Sports, Starting Lineup, and Boomer & Warrener in the Morning. • Notifications: Subscribe to Breaking News, League News, NHL Goal Highlights and Game based notifications. Payment will be charged to iTunes Account at confirmation of purchase. 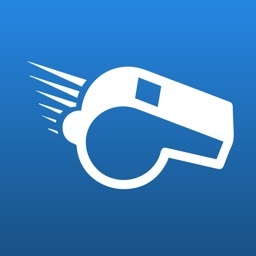 You will be charged a monthly recurring fee for the price of your subscription tier. You will be automatically billed for your subscription on a one-month basis until you cancel your subscription. Your subscription automatically renews unless auto-renew is turned off at least 24-hours before the end of the current period. Your account will be charged for renewal within 24-hours prior to the end of the current period, and identify the cost of the renewal. Your subscription can be managed and the auto-renewal may be turned off by going to the iTunes Account Settings after purchase. No cancellation of the current subscription is allowed during active subscription period. 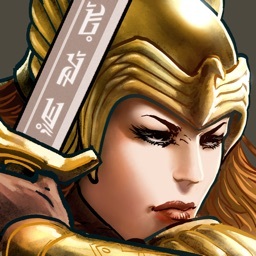 Any unused portion of a free trial period, if offered, will be forfeited when the user.